First Degree Fitness’ commercial fitness solutions for indoor rowing and upper body training feature our patented Fluid Innovation Technology. 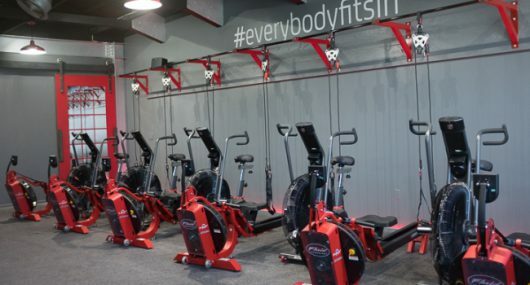 Trusted by reputable fitness facilities, studios and medical establishments worldwide, we manufacture a wide range of commercial-ready fitness products to suit any fitness level or age group. Our passion is to revolutionise the way people think and feel about exercise. By recreating every day movements using fluid resistance technology, our products deliver leading edge fitness simulations that are aligned with real life passions. Rowing Studios are growing in popularity globally. First Degree Fitness’ commercial range of indoor rowing machines are designed to handle heavy-use studio environments, delivering a robust, high intensity cardio performance that you can depend on. A popular rowing studio choice, FDF’s fluid innovation technology is shared with some of the world’s largest fitness brands and is at the core of our unique on-water stroke profile. Find out why fluid rowers are unlike any other indoor rowing machine or water rower. First Degree Fitness is constantly innovating new ways to challenge fitness freaks and CrossFit fanatics. The E620ST Predator is FDF’s latest water resistance CrossFit ergo, constructed for high intensity, powerful workouts. This standing upper body CrossFit ergometer can withstand even the harshest beating. Learn more. With indoor rowing fast becoming the latest fitness craze, fitness centres that are equipped and clued up on rowing training can reap financial and reputational awards. Not only do indoor water rowing machines burn over 1000 calories per hour, they offer a low impact, total body workout making them popular with members of all ages and abilities. Our commercial upper body ergos and commercial rowing machines are enabling club operators to set themselves apart. There are a growing number of competitive club operators globally who are utilising FDF rowing machines as part of an integrated training methodology with fantastic results. Learn more about Merge Workouts and how our adjustable fluid force is changing fitness philosophies. First Degree Fitness design a range of purpose built, medically approved upper body ergometers. Suitable for diagnostic and/or therapeutic purposes, our commercial ergs are classified by the European Union’s Medical Devices Directive and trusted by medical practitioners worldwide. FDF’s upper body ergometers are one of the only manufacturers to be awarded certification compliance, meeting essential requirements and strict medical guidelines. View our medical ergo range. Planning a new rowing studio or fitness facility? 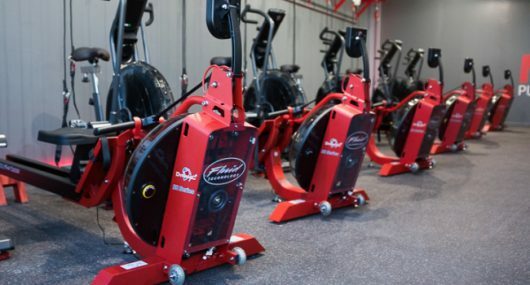 Our global reseller network can be consulted to assist in the planning and development stages of a new fitness facility and provide advice on the best water resistance ergometers to suit group training or rehabilitation needs.